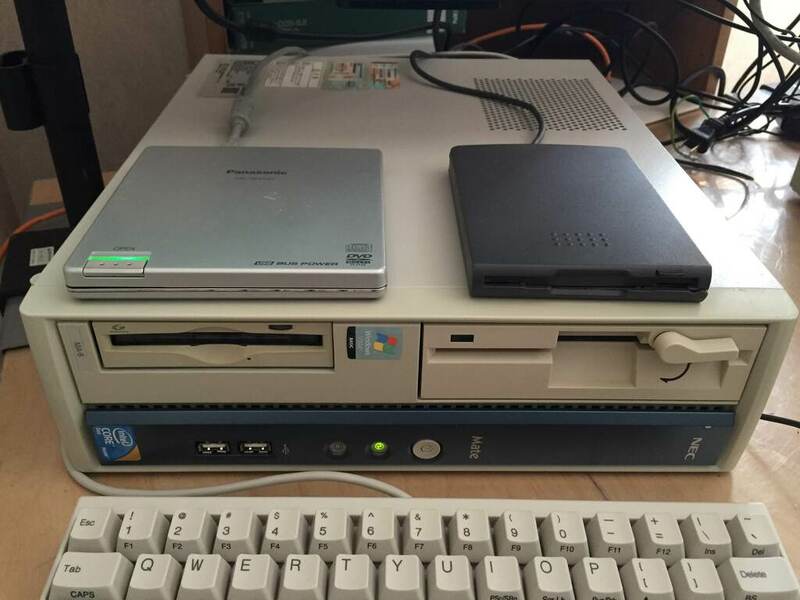 I bought a used computer, NEC MY29R/A-8 from Sofmap to setup a computer which can use old storage devices such as 5 inch floppy disk drive and magneto optical disk drive because I have many backup softwares on the old storage media. 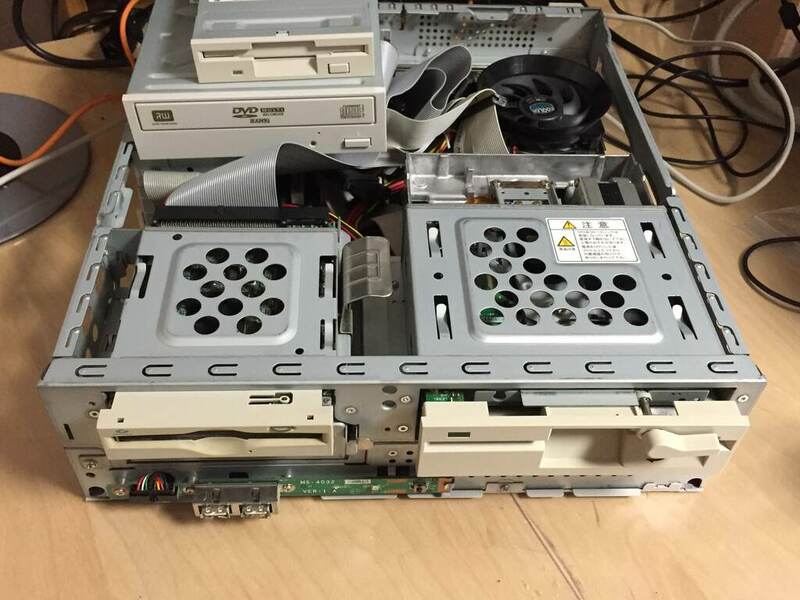 I decided to buy the computer because it has a native floppy disk drive connector. 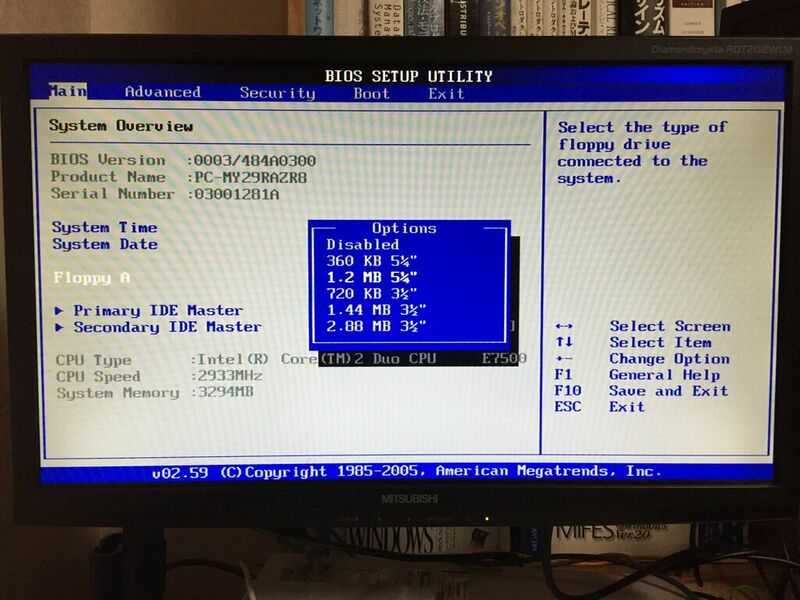 I could’t check whether the BIOS supports not only 3.5 inch drive but also 5 inch drive before the purchase, but I feel relieved because the BIOS supports both drives as the following. I have installed Microsoft Windows 7 with the following optional hardwares into the computer. I had to install the driver of Adaptec AVA-2915LP manually, but I could install the hardwares easily on Microsoft Windows 7. 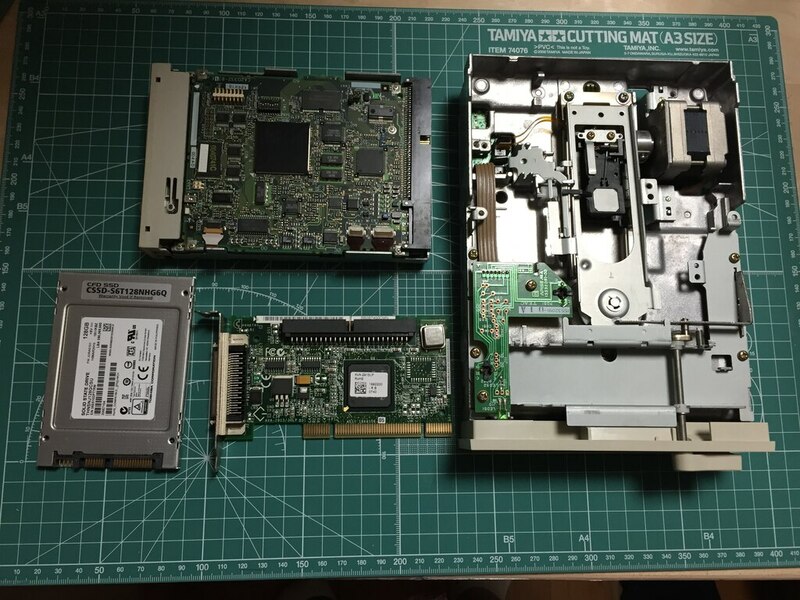 After the installation, I have added the other USB CD-ROM and 3.5 inch floppy drives because I removed the original storage drives by the installation. The all storage devices are recognized by Microsoft Windows 7 normally as the following. 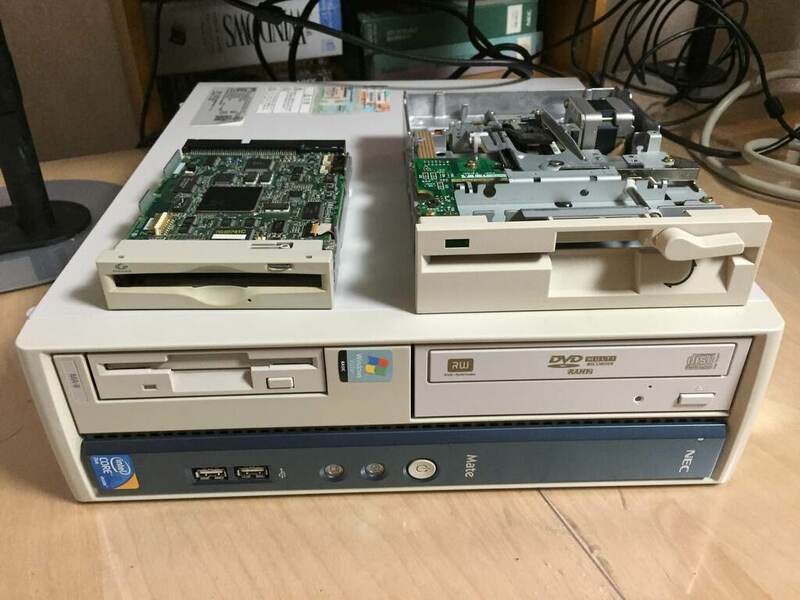 Finally, I checked same 5 inch floppy disk and magneto optical disk are available on the Microsoft Windows 7 computer and Japanese computers. 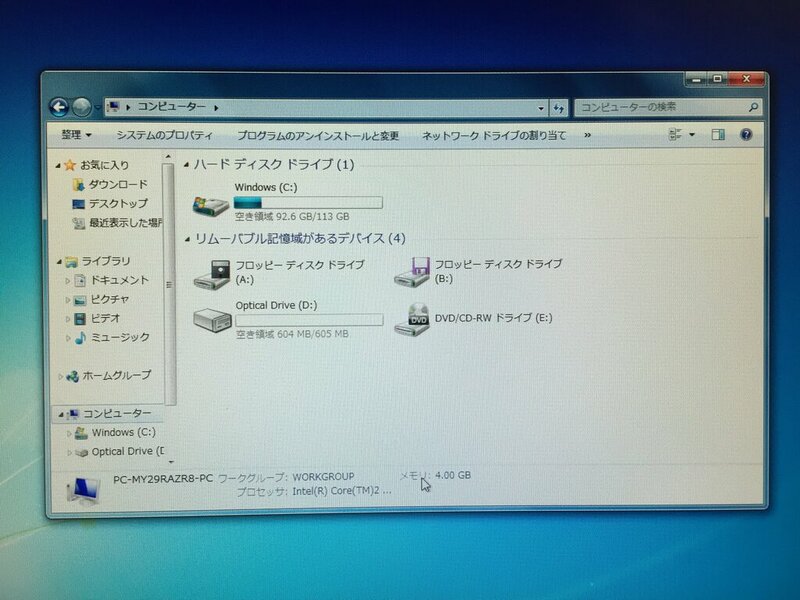 Many Japanese computers can read IBM formatted disk too. To use a same magneto optical disk on both computers, I have to format the optical disk with FAT format on Microsoft Windows 7. On Microsoft Window7, I can’t format the 5 inch floppy disk using GUI menu of the Explorer. To format the floppy disk for Japanese computer on Microsoft Windows 7, use format command using the command prompt with the following options.